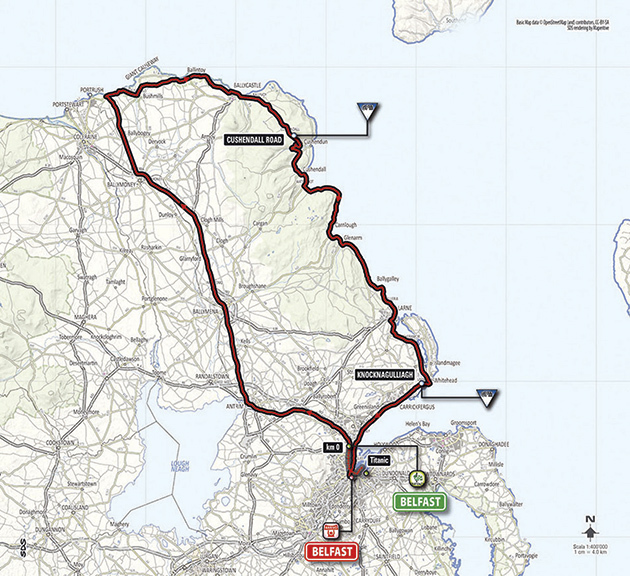 Stage two also begins and finishes in Belfast, but not before heading north and returning via the east coast. Powerful crosswinds from the Irish Sea could cause splits and echelons, but in all likelihood this will end in a bunch sprint. We could be in for a battle royal between some of the world’s best fastmen, although both Mark Cavendish and Andre Greipel will be absent. The two climbs of the day — Cushendall Road and Knocknagulliagh, at 92km and 24km from the finish respectively — will determine who dons the mountains jersey first, though the ‘hills’ jersey would be more apt a name given their size. The sprinters have the added incentive of gaining time bonuses at the finish line, which, if their team time trials from the previous day were fast enough, could propel them into the iconic pink jersey. The route also passes near Giant’s Causeway, one of the most stunning natural landscapes in the British Isles. Could this be an omen that Giant-Shimano’s Kittel will win today? The late poet Seamus Heaney was born in Northern Ireland, and is perhaps the most famous alumnus of Queens University Belfast. The scourge of many a GCSE English student, Heaney’s work made up two-thirds of the sales of poetry by living poets in Britain for a time. 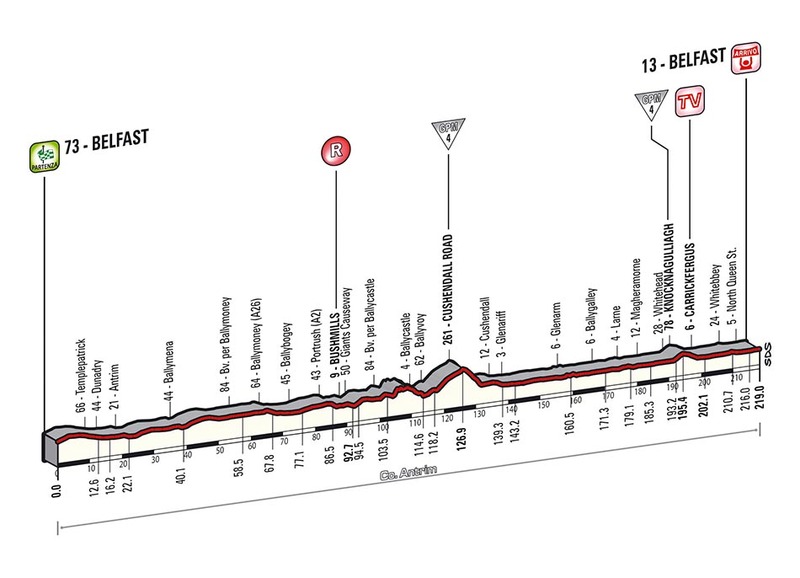 His poem ‘Rite of Spring’ is, we’re reliably informed, not about Milan-San Remo.